Steve Barrett was on location at the Page Spring Seminar for this week's podcast, where he spoke with Elise Eberwein of American Airlines and Dave Samson of Chevron. 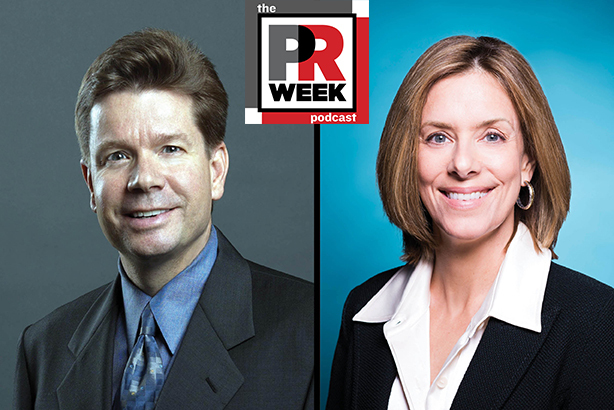 PRWeek editorial director Steve Barrett was on location this week at the Page Spring Seminar for the latest edition of the PR Week Podcast. He was joined by Chevron GM of public affaris Dave Samson and American Airlines EVP of people and communications Elise Eberwein. The trio discussed the seminar, the news of the week, Page's new branding, and Eberwein's interesting title.